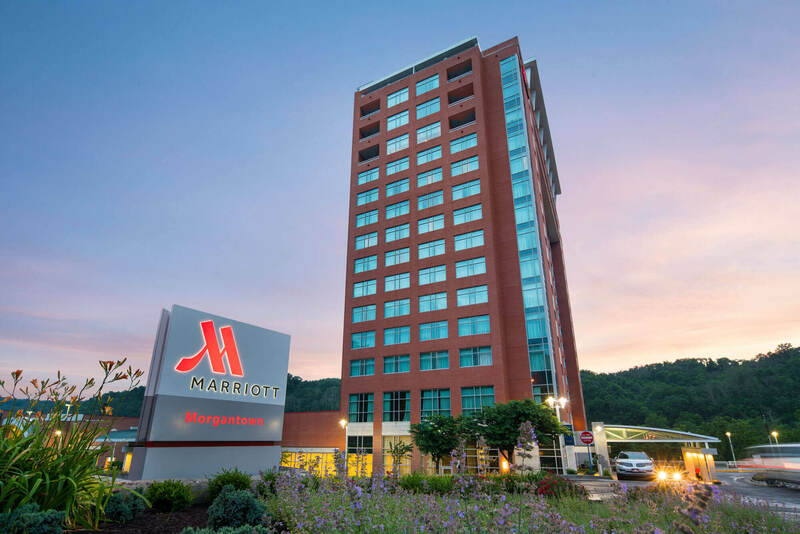 Overlooking the Monongahela River, this Wharf District hotel sits next to the West Virginia University Visitors Center. The subdued rooms, some with views of the river, feature 55-inch flat-screen TVs and free WiFi. Some also have mini-fridges. Suites add separate bedrooms and living areas. Amenities include an indoor pool, spa and fitness center. There is a full-service Starbucks inside the hotel, as well as their signature, on-site restaurant, Bourbon Prime, which serves classic seafood and steaks. There’s also 50,000 square feet of meeting and event space, including a ballroom and elegant banquet rooms with a deck overlooking the river.